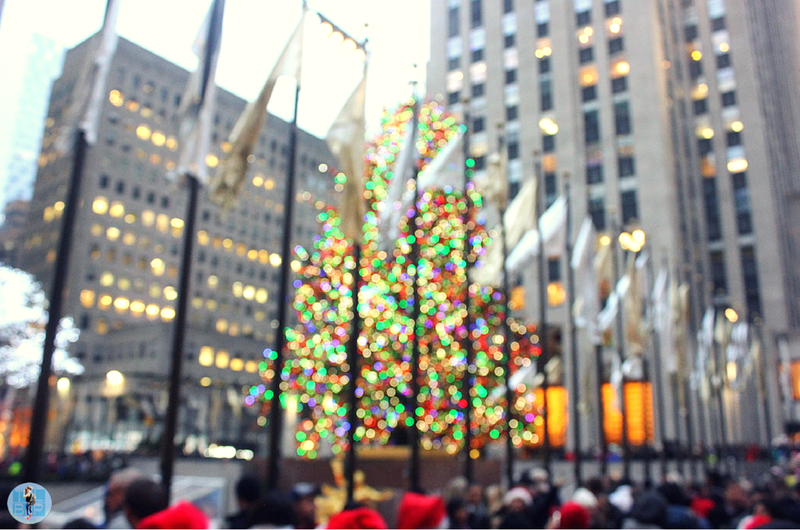 Last Christmas I spend a whirlwind four days in New York City experiencing all of the festive fun there was to be had. I spent hours and hours researching to make sure we did all of the Christmas related activities possible, including trips to various shops and hotels to see their movie famous decorations. This year as I prepare for a very different Christmas in sunny Rio de Janeiro, I’ve been thinking about the highlights from our time in NYC. It isn’t those iconic movie scenes from hotels and toy shops which I enjoyed the most but the oversized decorations in the street and all of the light displays. 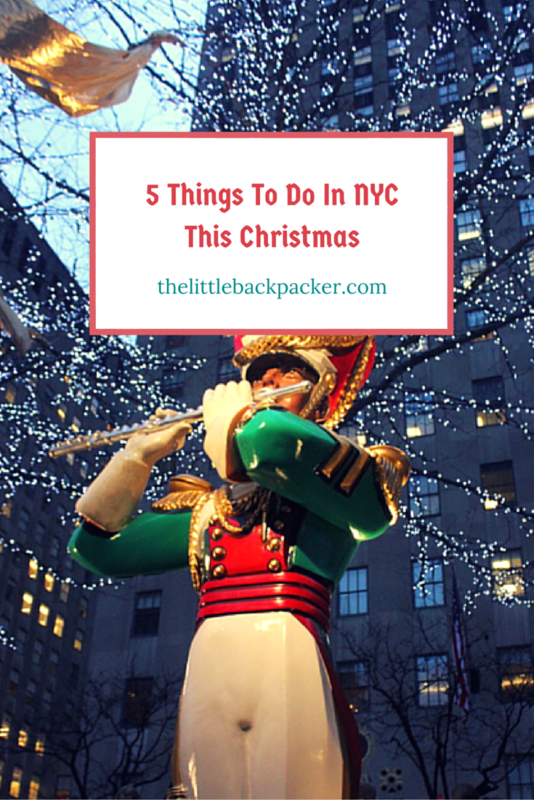 This is my list of the five ‘must do’ things in NYC this Christmas. The dazzling lights of Times Square abroad the Holiday Lights Tour which is the perfect way to see the city all dressed up for the holidays. Christmas displays in New York City are like nothing you’ve ever seen. We went on this using the Big Bus Company (who I would highly recommend) and had the amazing tour guide named Brian. 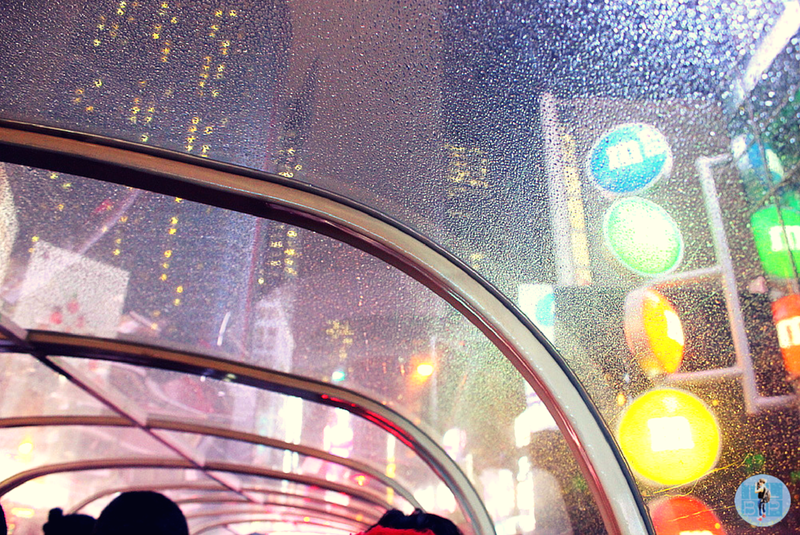 He had the mammoth task of entertaining an entire double decker bus load of people whilst driving around the streets of NYC on a wet and wintery evening. And my did he do a great job, he had the whole bus laughing along at his stories and begging to know more. Not only was he a great tour guide but this bus tour really was the best way to take in all of the light displays around the city. We got to drive past so many displays I would have missed without the knowledge of a local guide. TIP: Queue early for the bus and buy your ticket in advance, it was a very popular and busy tour. This is probably the most iconic part of NYC at Christmas but for good reason. The Rockefeller Center is not only home to the largest Christmas tree on public display in the city but to plenty of other decorations too. There is an iconic shot you can take from here which pictures the angels and the tree – just expect to battle the other 50 people who want the same shot at the same time as you. Despite the busyness of this area, I loved the holiday vibe with people carol singing on every corner and being able to look down onto the ice skating rink. TIP: I know it is busier but go in the dark when all of the lights are twinkling and it feels much more magical. Between Times Square and Rockefeller Center is Radio City and this is where those famous oversized Christmas decorations are. You know the ones I’m talking about, the huge Christmas tree lights and baubles. They aren’t hard to find but you may experience difficulty actually crossing the road to get to them. Especially if the Radio City has an event going on that evening. These decorations are fun to look at and entirely free to experience. TIP: Check them out at night when they shine brighter against the nighttime sky. This is the one thing we didn’t do while in NYC last Christmas and is probably my biggest regret from the trip. We had planned to ice skate at the lesser known Bryant Park but just ended up running out of time during our short trip. Although Bryant Park looked nice and is a little bit cheaper I would sooner have skated at the Rockefeller Center or in Central Park. The latter would certainly be my top choice if there was snow on the ground. From ice rink level at the Rockefeller you also get the best view of the Christmas Tree. TIP: You can only book in advance for packages/group bookings at Rockefeller so be prepared to queue. This light display was the one thing I didn’t know about before the trip. 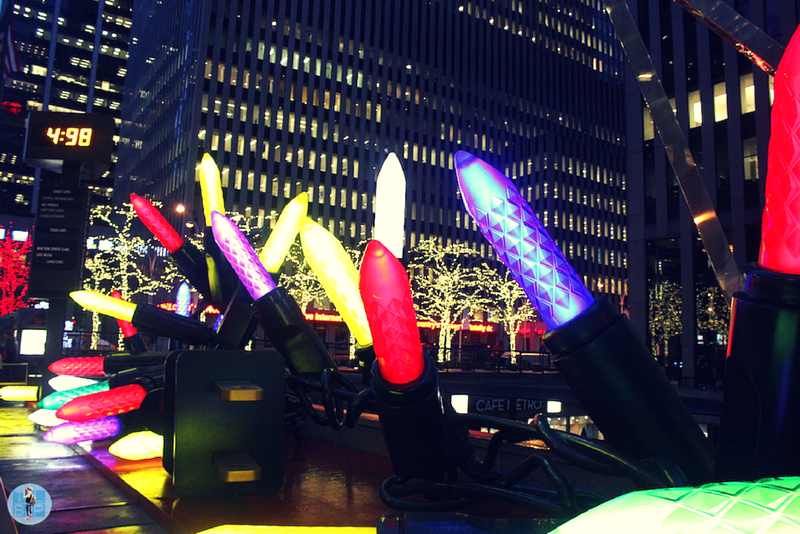 Located on the same block as the Rockefeller Center it is hard to miss the huge light display to the blaring music. This New York department store puts on a different light show each year – there is a big performance during Thanksgiving to unveil the shops windows but then throughout the festive period the light display is projected onto the outside of the building with music. This year the show will play every evening from 4:35 p.m. – 11:35 p.m. every 10 minutes until Jan. 10th, the show lasts for approximately 5 minutes. TIP: The best place to stand to see the Light Show is at the Rockefeller Plaza across the street located on Fifth Ave between 49th and 50th street. 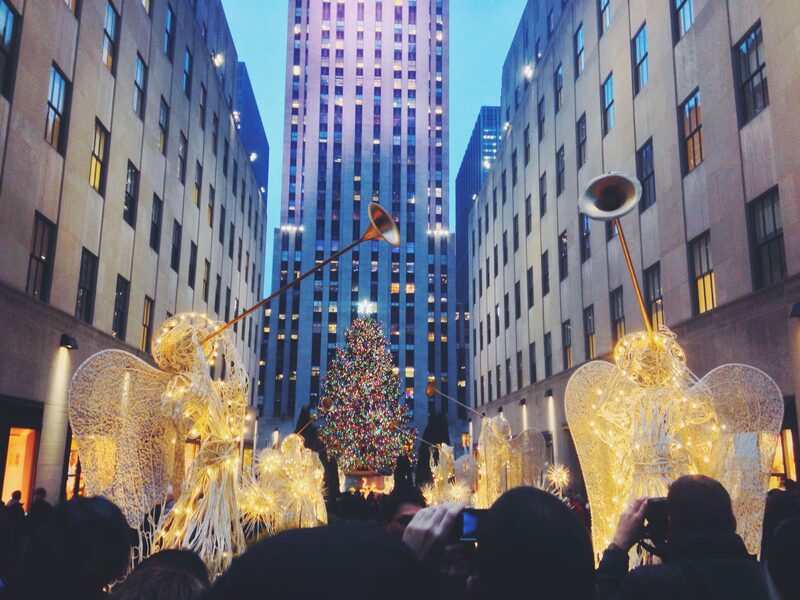 New York City is one of the most magical places to spend Christmas and hopefully this list will help to make your time in the city as festive as possible. Have you been to NYC for Christmas? What would you recommend? Those sound like awesome ways to enjoy the city at Christmas time! Pinned and shared. It really was, I hope you get to at some point!